While one of the goals is the financial support that it takes to care for the children, a key point is also the building up and inner healing of each child. Most children come to Shadow of His Wings with damaged hearts from a past of people constantly treating them like they had little or no value. The sponsorship relationship shows them that there are people out there who love them and will pray for them and maybe even send them a letter every now and then. 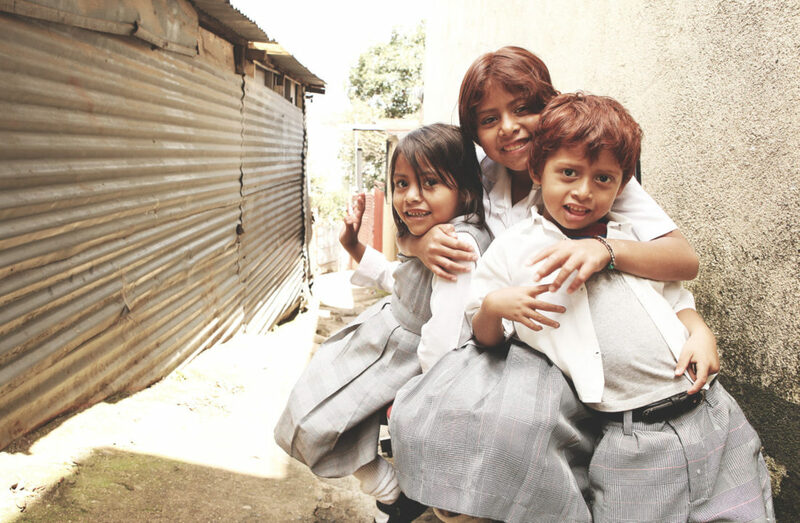 Governments around the world are working to limit the amount of time that children are in homes, this is true in Guatemala as well. At times this is great, especially when many children are in overcrowded, poorly managed homes, but other times it clearly is not. It is good that the courts are feeling pressured to find suitable family members to care for these kids. These kids long for family and if a member of their family exists who will lovingly care for them then we fully support that. On the other hand sometimes that family member does not exist and we would prefer that the kids stay here and not be sent back to potentially dangerous situations. **Please be in prayer with us that while the courts seek to make changes that will benefit the children, that they do so without putting them in harms way. It means that our kids may be with us for shorter periods of time. It means that sponsoring a child may be a bit difficult if so many are transient. We are asking that you please stick with us during this time. We still desperately need your support while we seek to care for our kids no matter how long they are here with us. Q: What's next after my commitment to sponsoring? A: You will want to log into the Supporter Portal and read your child’s biography! There is special, more sensitive information that we give to those who have committed to partnering with us financially to care for that child. Any updates that we post about your sponsored child will notify you via email so that you can go in your Portal and read the update. You will hear from your child through a physically mailing 3x per year: Easter, Summer, and Christmas. If you would like to join a team, we would love to have you visit! During your trip, you’ll have a special one-on-one translated time with you and your sponsor child. If you would like more info on joining a team contact our Team Coordinator at mandy@sohwo.org. Other than that, you can be praying for your child daily that they would encounter the love of God while they are here with us at Shadow. Our desire is that they would become a community changer and not just a community member, and that they would reciprocate the Love they have been shown! Q: What happens if my sponsored child leaves? A: We will contact you and let you know and then at that point you can choose to cancel your sponsorship (which we hope you hang with us), you may select another child from the website, or you can email us and we’d be happy to help you select someone! Q: Can I write or send a gift to my child? A: Absolutely! We highly encourage letter writing and through our Sponsor portal you can electronically write to your child once a month and your sponsored child will respond back age-appropriately. If you’d like to send a gift, we accept physical gifts for your sponsored child’s birthday and/or Christmas and then one additional gift if you visit us here at Shadow in person! Please email the Sponsor Coordinator sponsor@sohwo.org if you have more questions about bringing/sending gifts. They will be able to send you the full detailed Gift Policy to read over. If you are not able to join a team but would still like to send a gift, we rely on teams traveling down to Shadow to be the mail carrier. Please contact the Sponsorship Coordinator for more info on this and they can give you the information on how and where to send the gift for transporting. Q: What is an Angel Sponsorship? A: An Angel Sponsorship means we have space for a child but the Judge has not sent a child into our care just yet. We believe it is better to be prepared for the child to come rather than bringing in children that we aren’t financial fit to care for. When you choose to Sponsor an Angel child, essentially you are saying “I am committing to Sponsorship and when the Lord sends that child to fill that Sponsorship, I will be there ready to meet them and develop a friendship with them.” If you select to Sponsor an Angel Child, when the child arrives in our care, we will upload their photo and any of the information we are able to gather upon their arrival and upload it into the REACH system. As we receive more information about them throughout the following weeks/months we will upload that as well for you to view. You will have access to log in and view all of that information and begin communicating with your Sponsor child on a monthly basis if you should choose to do so! Through our women’s program we are helping widows, single mothers, and our older children receive an education and job training so that they can reach their full potential and care for themselves and their children. These women receive training that allows them to generate income for their families, as well as support from social workers, psychologists, and mentors. They are learning how to make positive choices and decisions in their finances, health, parenting, and much more. Through this program, we aim to positively effect the lives of these women and the generations to come. Recently, we have launched our first class of women. Our inaugural class has 15 women, all from a variety of backgrounds. We are excited to see all the God will do in and through these women in the coming months. Your donations will go to raise funds for supporting a woman for 2 years, supplies necessary to help her, opportunity for psychological treatment when/if needed, parenting training, directors, and more.